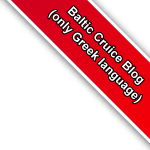 A useful guide for those who travel to the Baltic cruise with Emerald Princess. On a picturesque expanse of forest parkland on Kopli Bay is preserved a collection of historic Estonian buildings, transplanted from around the country to represent rural life through the centuries. 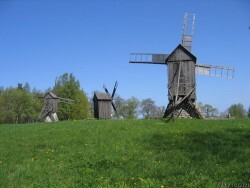 Exhibits consist of various farm buildings, windmills, watermills and other country clutter offering pleasant and informative escape from the hubbub of the nearby city. Handcrafts are on sale, horseback rides on offer, and a village inn caters for visitors keen to sample local fare. Folk music and dancing displays are scheduled regularly, and most national holidays are celebrated here in grand style. Book guided tour in advance on +372 654 91 00. Cost 1000 EEK per tour (max 30 persons). -trolley bus No 6 or 7, bus No 22 from the city centre, get out at theZoo station. Then follow the road along the seaside (around 15 min).